Listen to this writing piece in podcast form! Click the play button below or download it to listen later. 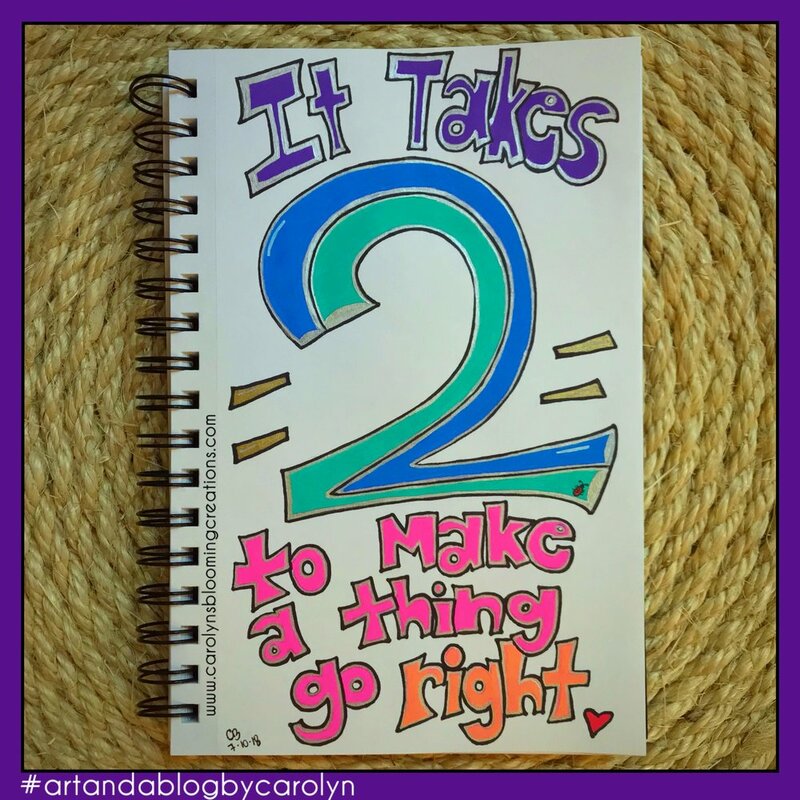 As the songs go: "It takes two to make a thing go right. It takes two to make it outta sight." You may either hear the version by Rob Base and DJ EZ Rock OR the version by Seduction in your head. Either one is pretty awesome. The whole concept of each song is about relationships taking two to make them work. While it takes two (or more) to make a relationship work, it also takes two (or more) to establish a relationship in the first place. We all have preconceived notions about what a relationship should be. (By the way, I define "relationships" as friendship, family or romantic). We gain these notions through accepting wedding vows written by someone other than the parties getting married, watching movies and t.v. shows, reading books, listening to others outside of the relationship, and more. It's time for humans to start moving more towards listening to our hearts when it comes to establishing strong relationships. How does one do this? One can establish strong relationships when they take the time to discuss how the relationship should be with the person (or persons) they are having the relationship with. It can be done in the very beginning, or periodically throughout the relationship. If you don't ever discuss your relationship, how would each party know what was "right" or "wrong". But wait! Is there really a "right" or "wrong" kind of relationship? What may be "right" for some, may not be "right" for others. There are all kinds of relationships. And get this: despite what you may think, one kind of relationship isn't "better" or "worse" than another. Humans should make relationships work the way they want them to work. As long as you are open and honest, it will work out beautifully for all involved. Tommy (my husband) and I have always been very open and honest with each other. We talk through things all the time. It's not always been easy, but we do it because we know that's the best form of communication. We don't always love what each other says when we talk, but we take the time to do it. When we do this, we ensure neither of us are distracted so we truly listen to each other. Towards the end of our conversation, we come to an agreement about how to move forward and make any necessary changes. We do this not only for peace but also because we understand our relationship is always evolving. What was "right" for us ten years ago, may not be "right" for us now. We thought in the beginning we were supposed to get married, have kids and work happily at the same jobs until retirement and then die. That's not how life has panned out for us. The really cool thing about it not happening that way? It's made life pretty exciting. While a relationship that brought on the kids may be great for some, it's not been a part of our path until this point and we've been married for 15 years, together for 18. Maybe kids will happen one day (maybe via adoption? ), but right now, we are navigating a different form of marriage and it works for us. Again, relationships evolve, and we are willing to let that happen. If you gain anything from what I've said, gain this: You and the person or persons you are having a relationship with are in charge of your relationship and no one else. Establish a relationship by talking and being honest with all parties involved, for honesty truly is the best policy.